Welcome to the Robert Wood Johnson Foundation Tour through Garfield, NJ! In the past few years, The City of Garfield in Bergen County, NJ, has pioneered many initiatives to eliminate childhood obesity. After recognizing an increase in this dangerous epidemic, The City of Garfield health officials founded the Childhood Obesity Intervention Task Force in order to assess the gravity of the problem and organize ways to combat the issues. A community health assessment confirmed the extent of problem and the Fitness, Unity, Nutrition (F.U.N.) initiative was established. These components were critical for The City of Garfield’s agenda, particularly the unity element, because they link a healthy way of life and diverse community participation. 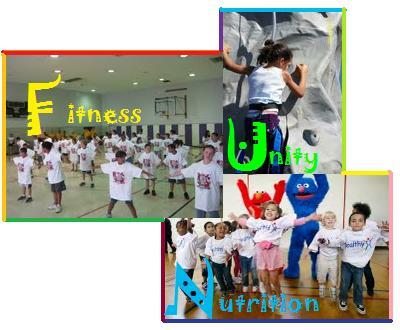 This program has been directed at children in order to form a foundation of healthful habits, combat the rising epidemic of child obesity and ensure that future New Jersey residents will be a more vital and energetic population. The F.U.N. initiative also encompasses many other programs and events. One event was Safe Routes to School, where students and parents surveyed the quality and safety of sidewalk conditions on the way to schools in order to encourage walking habits. Another program was The “Walking School Bus”, where a walking group of children and a parent volunteer, who served as a “walking bus driver”. These groups would pick students up at a designated location and the children would walk to school together under safe and enjoyable circumstances. F.U.N. also piloted the RAMS (Ramapo and Medowlands Survival) Camp, which promoted balanced nutrition and the importance of physical activity. Students competed in teams in a survival competition where they used physical activity and good nutritional values associated with different foods and how to identify various plants in the environment while accumulating steps on their pedometers. 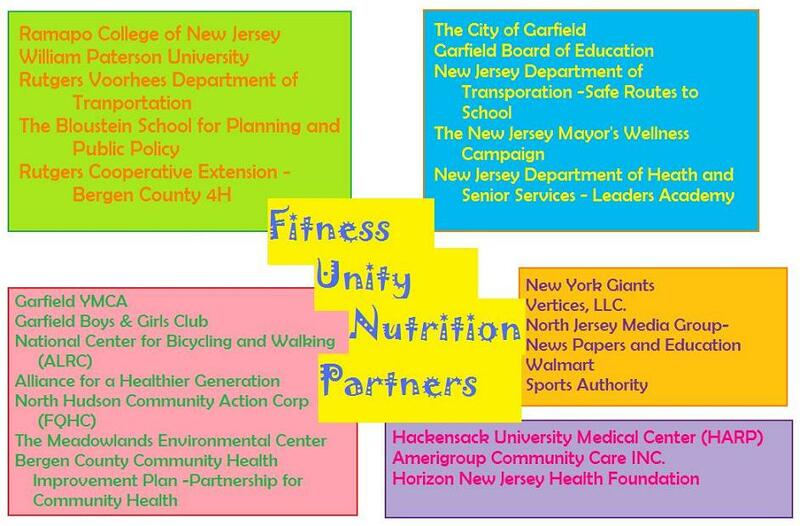 These innovative and successful programs have made The City of Garfield a leader in the fight against childhood obesity. These programs can be used as a model for other communities seeking to emulate Garfield’s success. Examples of how the F.U.N. initiative has impacted the community can be observed throughout the town from the parks, to the schools, to the sidewalks and demonstrate what can be achieved through a focused approach that addresses the specific needs of a community.